Any day you go out and win a trophy for Donegal is classed as a good day in my book. It’s been a few years since we won anything and while there are bigger prizes at stake, we went to Armagh looking to win, and that’s what we did. There’s always a buzz around Tyrone and Donegal games, and I felt those that travelled to the Athletic Grounds certainly got value for their money. Both ourselves and Mickey Harte were doing a bit of experimenting, and it wasn’t an easy arena for our young player to line out in, but I thought our lads all did well. You could tell with both teams that there were players that wanted to make a statement, and there were a lot of good tackles, and full-length blocks. Mickey turned to some of his heavy hitters in Mattie Donnelly and Peter Harte, but our lads kept battling away. There were a lot of good scores in the match, and it was an open game of football. I would imagine the league game against Tyrone on Saturday will be a very different affair. Tyrone are still the benchmark. 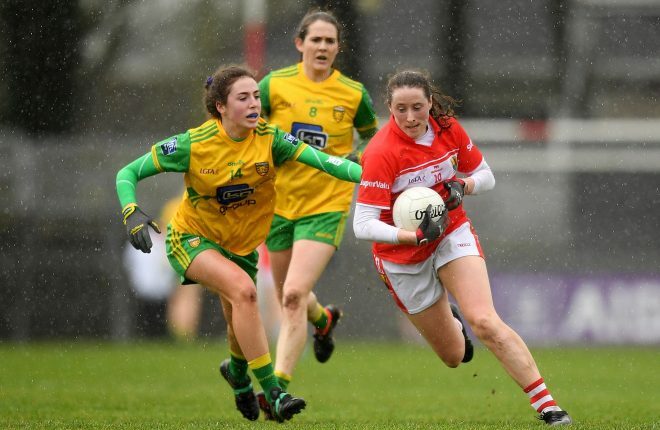 They have won the last two Ulster titles, and they have a conveyor belt of talent coming through. We won’t be reading too much into Saturday’s win, but it was a good performance and a victory under the belts won’t do us any harm. I know people were disappointed that the game was switched from Derry to Armagh, but we were well looked after in the Athletic Grounds. It’s a nice compact ground, and the pitch was in good condition. I think there were around 5,000 people at the match which was good going considering that there are a lot of games on at this time of the year. While we were happy with the win, there were no big celebrations. 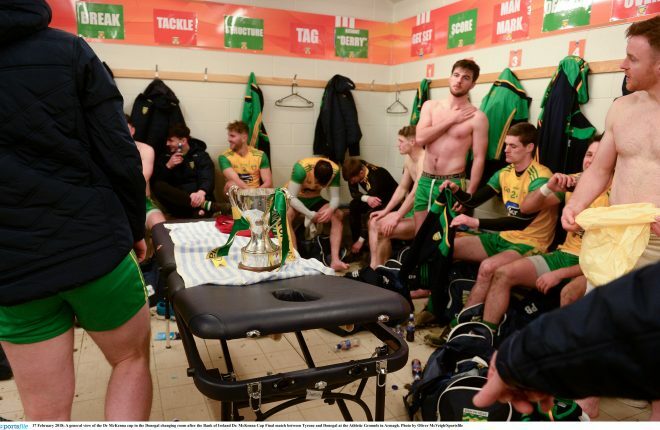 It was recovery drinks in the dressing room afterwards, and we all met up again on Sunday to begin our preparations for a big league game with Kildare. The game is in Ballyshannon and I called in during the week to have a look around, and it was a hive of activity. We share our league games around MacCumhaill Park, O’Donnell Park, and Fr Tierney Park, and that’s the way it has been for a long time. 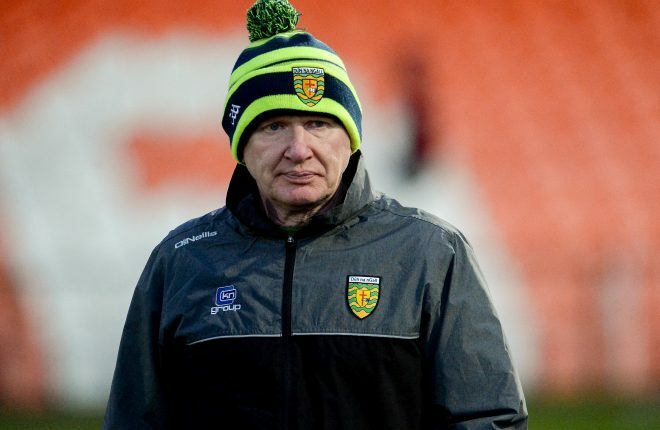 Our championship games are in Ballybofey and naturally enough, we like to get a few run outs there to get us ready, and we will play Mayo in MacCumhaill Park next month. At the same time, it means a lot to the people of Ballyshannon and Letterkenny to be able to host these prestigious games, and they take great pride from that. I remember back to my own playing days, and teams never enjoyed coming to play in Ballyshannon. We have a very good record there, and that’s something that we will be hoping to maintain this week. It’s a huge game for us, and it’s one that we really need to get points from. Kildare will be coming to the county looking for the two points, and they will have had a fortnight to prepare for it. They’ve already encountered two close battles with Ulster teams this season, and they’ll bring plenty of physicality this week. It’s going to be a tough 70 minutes, but we will be giving it our all. 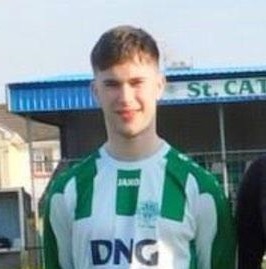 I’ve often lamented our poor form in club provincial competitions, so I was delighted that Gaoth Dobhair won the Ulster Under 21 Club Tournament in Creggan last Sunday. 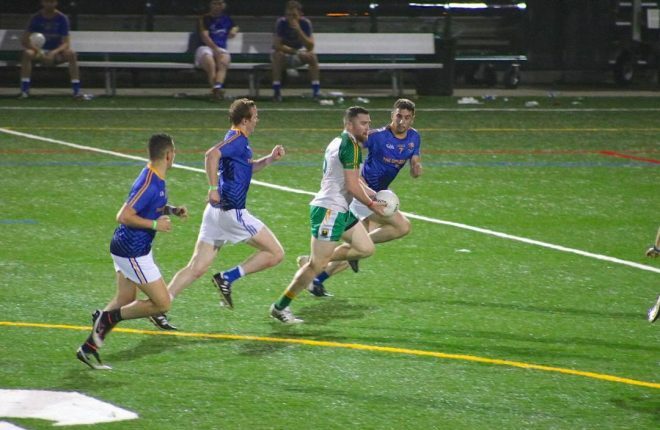 This is a really special group of players, and there has been a lot of excitement about them in Gaoth Dobhair over the past six or seven years. They suffered a few defeats at Under 12 and Under 14 level, but the medals soon started to arrive after that. Tom ‘Beag’ Gillespie has invested a huge amount of time into those lads, and they are a very well-drilled team. 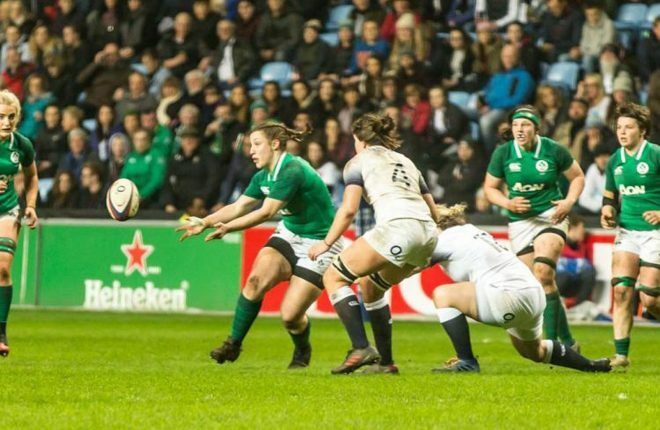 They did it the hard way in Ulster, and had to play in the Preliminary Round, but no team really looked like beating them. Donaghmoyne from Monaghan posed a few questions, but they were still well off when the final whistle blew. Lavey were a highly-rated team but they were no match for Gaoth Dobhair and the 13-point winning margin says it all. I would know a lot of their players from my time as minor manager, and they are good honest lads, who leave it all on the field. It was great to see Cian Mulligan back on the field, and he scored a hat-trick in the Ulster Final, just like he did in the Donegal decider. It’s been a frustrating few weeks for Cian, who got injured in the early stages of the McKenna Cup. Just when it looked like he was back to fitness, he then encountered a setback. He was very determined to make it back for Gaoth Dobhair, and he did a lot of work with our physio Cathal Ellis to get right for the final. It didn’t take him long to get up to speed, and to score three goals on a wet and miserable afternoon shows what he can do. 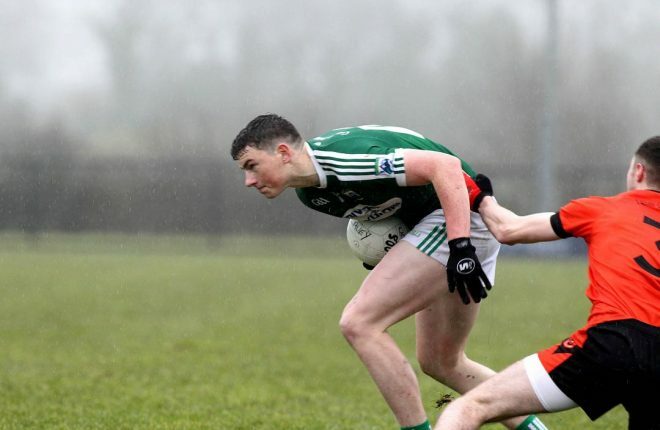 The big question now is after all this underage success, can Gaoth Dobhair push on and bring the Dr Maguire Cup back down past Errigal once again? There’s a number of good teams in the county who are going to be challenging for honours, and Gaoth Dobhair should be one of them. 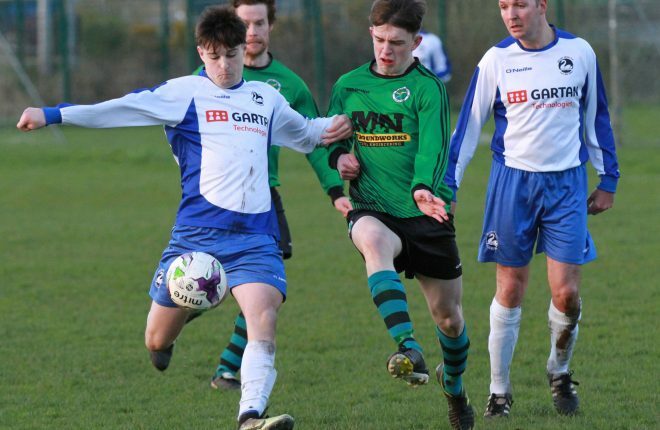 Kilcar won the championship last year, and they are going to be strong in the coming seasons. However, it’s worth remembering that Gaoth Dobhair almost beat them in Towney in the group stages last year, and they have the mobility to match them. They are young, and have to build up the experience, but they have played in a lot of finals, and their game management is good. They only conceded a handful of points from play over the whole tournament in Creggan. Last week’s triumph augurs well for Gaoth Dobhair, who traditionally are one of the heavyweights of Donegal club football. If these lads are nurtured right there’s no reason why they can’t be adding senior championship medals to their collection in the next decade.